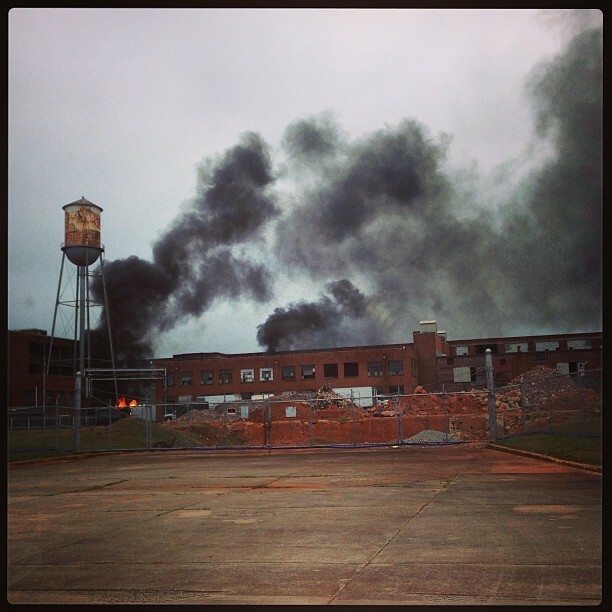 Mockingjay filming has been spotted at the Martha Mills in Thomaston, GA. Sources nearby reported large plumes of black smoke and explosions! Could this be the District 8 bombings? Check out this most recent request for extras for the film. Patina Miller (Commander Paylor) tweeted that she has wrapped her scenes in Atlanta for now. "Atlas" by Coldplay from the Catching Fire soundtrack album will receive the Hollywood Song award. Chris Martin is set to perform the song at the event on October 21st. Check out this interview with Bruno Gunn from Hollywood.com. Sia's "Elastic Heart" from the Catching Fire soundtrack is still high on this week's list of the most viral songs at the #2 spot. The Atlanta History Center announced a new "Capitol Tour" for the Swan House (Snow's mansion in Catching Fire) location. Their post has since been removed, but our friends over at Panem Propaganda saved the info. Capitol Couture are teasing an upcoming fall issue on Instagram! Click here to buy tickets for The Hunger Games: Catching Fire before they're sold out!